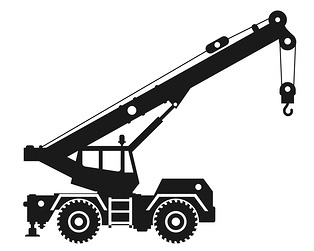 A Slewing mobile crane is equipped with a boom and can have various lifting gear attached such as ropes, chains and sheaves. Its main purpose is to raise and lower loads in a horizontal plane around its axis. It does not include front end loader, excavator, back hoe or alternative earth moving machinery when configured for the operation of a crane. This training will allow students to plan a job, perform before and after operational checks, set up a crane in a safe manner, transfer and move loads and finally shut down and secure a crane with a capacity of up to 60 tonnes according to site procedures. In accordance with Work Health and Safety Queensland licencing requirements, the C6 licence encompasses the CV, CN and C2 certificates. Operate a crane with a capacity of up to 60 tonnes using the various crane movements such as slewing, telescope and raising and lowering hoists. Understand the capabilities and limitations of a slewing crane when conducting operations. On successful completion of this course, you will have the knowledge and practical experience to operate a slewing mobile crane with a capacity of up to 60 tonnes across many work environments in Australia. At Emerald, our highly knowledgeable and skilful trainers will ensure you have the appropriate training and are confident in your capabilities in gaining future employment in the construction, offshore drilling and mining industries to name a few.